It is no secret that 18 wheeler insurance does not come cheap owing to the considerable liability risks associated with the trucking business. For this reason, it is important to find an insurance firm that understands 18 wheelers and provide practical policies that meet specific requirements at a reasonable cost. 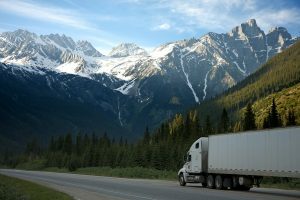 The cost of insuring a truck is determined by a wide variety of factors, including the type of cargo hauled, distances traveled, driving record and more. Average for-hire operators can pay up to $12,000 annually for commercial truck insurance. Choosing the ideal insurance policy is crucial for protecting assets. A major accident can create substantial financial problems for an uninsured operator. Paying for the repairs out of one’s pocket is simply not an option. An accident has the capacity to decimate a trucking company. The right type of insurance eliminates the need to pay for medical bills and repairs. In addition, it provides much-needed protection against uninsured drivers. Driver fatigue is one of the major risk factors associated with the trucking business. The sleep schedule is always changing and it is not easy to get adequate rest at truck stops and other public spaces. As a result, sleep deprivation may lead to poor concentration. In some cases, hazardous road conditions create considerable risks. Many accidents are caused by drivers who keep moving in bad weather. The 18-wheeler monsters have inertia, which means they can cause a lot of damage in the event of a crash. What determines the cost of a policy? In the United States, vehicles are required to have liability insurance. This is aimed at protecting both the insured and third parties. Truck operators can obtain licenses and permits after presenting liability insurance. On the other hand, bodily injury coverage is designed to pay for medical expenses resulting from the accident. The policy covers medical bills for the injured up to a set limit per person. It also stipulates a maximum amount per accident under the Combine Single Limits (CSL). Property damage covers any damage to vehicles or property. This ensures that the property is either repaired or replaced. Physical damage insurance is particularly important to operators that lease trucks or have a lien of any kind. This option provides comprehensive coverage. Specified Peril insurance offers protection in the event of specific hazards, such as fire. Coverage is only applicable to items specified in the policy. This means if an 18-wheeler is damaged by a falling tree and it is not listed on the policy, the insurer will not pay. Hence, the need to ensure coverage to risks associated with a particular route or cargo.